The investigation mainly targets "a series of tax offenses aimed at collecting a significant amount of funds potentially intended to finance activities related to the radical Islamic movement al-Nusra," the Financial Guard said, citing a local prosecutor's office in the city of L'Aquila in southern Italy. About 20 people of Tunisian origin, who have long resided in Italy, were subjected to searches. The raids were carried out in the regions of Abruzzo and Ascoli Piceno, as well as the cities of Milan and Turin. In particular, law enforcement targeted a company involved in repair work and carpet sales that the suspects were allegedly linked to. The leader of this group allegedly laundered money by purchasing real estate and other types of business activities via frauds with audited accounts. Some amount of the laundered money was allocated to finance radical Islamic groups based abroad. 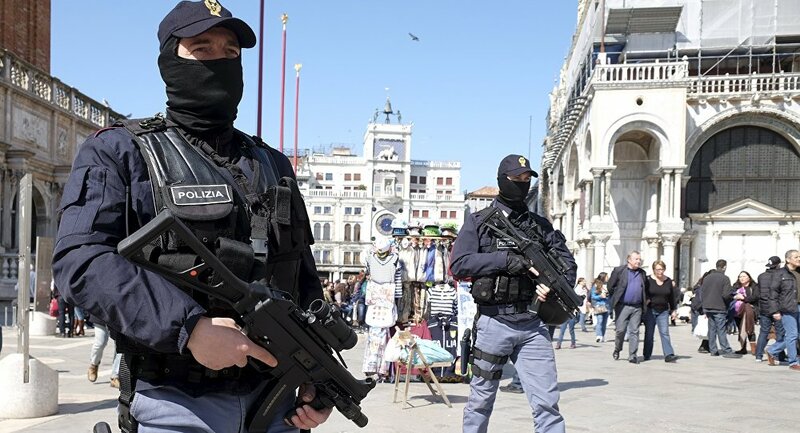 Italy repeatedly carries out anti-terrorist raids across the country. Back in May 2018, 14 people accused of financially supporting the Nusra Front were detained. The Nusra Front officially ceased in exist in 2017 after the organization split into several rebel groups that continued to pursue terrorist ideology. One of them merged with other extremist organizations to become Tahrir al-Sham. Nusra, its affiliates and the groups it has merged with are designated as terrorist organization by a number of counties, including the United States, Russia, Canada, as well as the United Nations Security Council.